No trip to the Catalan capital is complete without paying homage to the architecture of the city’s star man. We take a look at the fascinating life of Gaudi and review the complete portfolio of his Barcelona works, including which of his buildings you simply must visit, and how to get tickets. Rarely has a man become so synonymous with a city as Antoni Gaudi has with Barcelona. 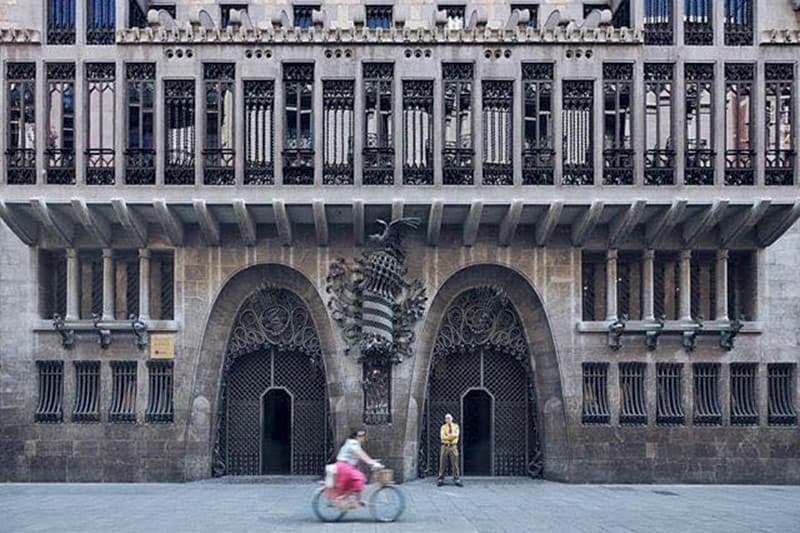 His incredibly expressive and individual style, part Modernisme (the regional Catalan take on art nouveau) part neo-Gothic and drawing on aspects of cubism and surrealism, has come to define the city’s aesthetic. It is intensely human, full of the imagery of nature and religion, and defiantly original – an apt reflection of the Catalan soul. 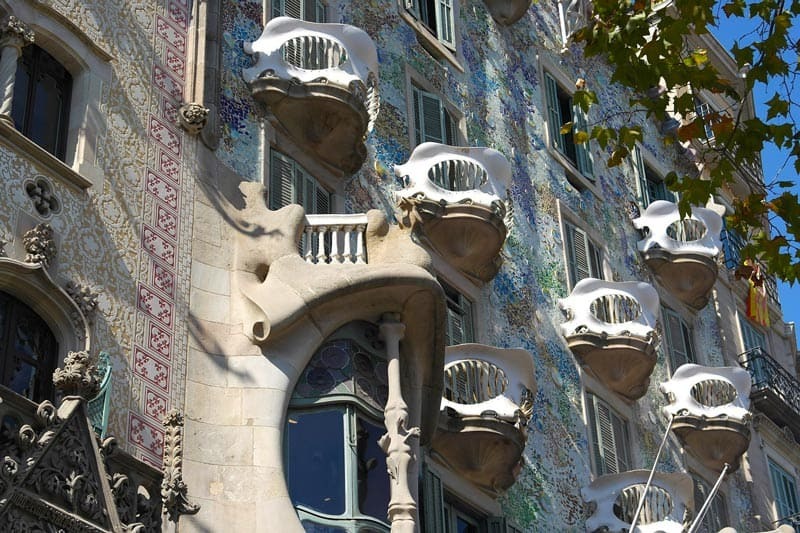 Read on for a comprehensive list of Gaudi’s buildings and architecture in Barcelona, museums featuring his works, a complete biography of his life, plus selected guided tours. A brief introduction to the genius and religious zealot coming soon. For a full biography check further down the article. Although Gaudi’s work was far from unanimously praised at the time (fellow Barcelona-based genii Pablo Picasso and George Orwell were both rather unkind in their opinions! ), the young Antoni had no difficulty finding projects to work on during his career, and as such Barcelona is rife with his handiwork. 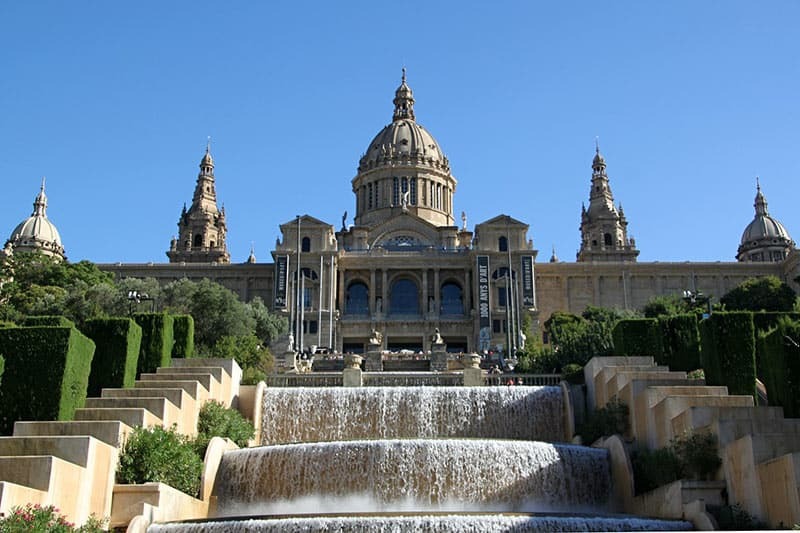 Here is a list of all of his 12 Barcelona buildings, starting with the most breathtaking and unmissable attractions first. Gaudi’s association with the architect Martorell landed him what was to become his most important commission – designing La Sagrada Familia Cathedral. He began work on it soon after graduating in 1883, and dedicated the last 16 years of his life entirely to the project. The famously unfinished church is now the city’s most visited attraction. Verdict: 11/10 – You have to see it to believe it! Best Tour Option: Small-group Guided Tour. Eusebi Guell, Gaudi’s principal patron, wanted to build a remarkable park for the Barcelona aristocracy – and no prizes for guessing who he turned to. 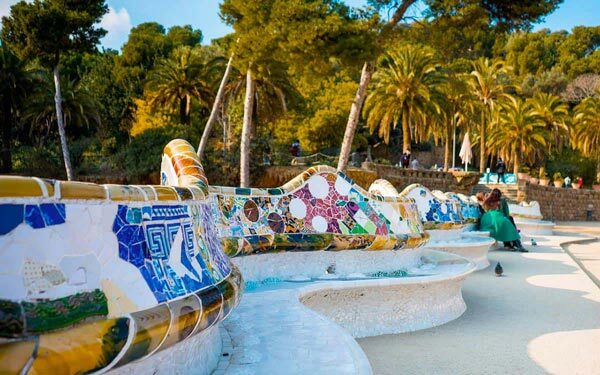 Characterised by its pavilions and undulating mosaics (made from broken tiles), the Park has become one of Barcelona’s must-see destinations. It was built between 1900 and 1914. Best Tour Option: 1 hour Guided Tour. Passeig de Gracia, atop of Las Ramblas, is the showcase street of Modernism in Barcelona and of course the great man himself left his mark, designing both the Casa Batllo and the Casa Mila. The latter, also known by its nickname La Pedrera (The Quarry), was the last great work Gaudi finished before dedicating himself entirely to La Sagrada Familia Cathedral. Sinuous curves, elaborate metalwork and spiraling mosaic-tiled chimneys represent the architect’s most accomplished expression of the unique style he created. (Built 1906-1910). Best Tour Option: Night Tour & Rooftop Show. Another of the Modernista masterpieces on the Passeig de Gracia (not all of them, were created by Gaudi… read up on Barcelona’s other top architects such as Puig y Cadafalch), the Casa Batllo was built in 1877 and remodelled by Gaudi between 1904 to 1906 for the aristocrat Josep Batllo. Fans of fantasy will love the dragon-crest roof and skeletal facade. Do note that the house is under renovation until June 2019. You can still buy tickets, but some of the exterior and interior is impaired. Best Tour Option: Casa Batllo & Sagrada Familia Combined! This sumptuous palace was created as the Guell’s family residence, on the Nou de la Rambla. Austere white stonework is offset by surreal chimneys of fantastic colours, and a central spire topped off by a bat-winged monster. Look out for the Catalan coat of arms on the entrance. (Built 1886-89). Verdict: 8/10 – Intriguing, underrated palace. Best Tour Option: Gothic Quarter Tour with Palau Guell! Commissioned in 1978 and built between 1883 and 1888, Casa Vicens was Gaudi’s first major work to be finished. A private house designed for the industrialist Vicens, this Moorish-influenced marvel can be found in the Gracia district. 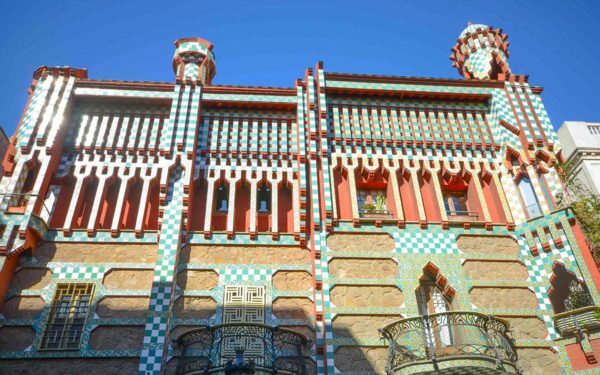 Best Tour: Guided Tour of Casa Vicens (w/ Park Guell option)! Bellesguard means “beautiful view” in Catalan, meaning you’re treated to both splendid architecture and vistas, when you make the journey up to this edifice. One of Gaudi’s only buildings to incorporate straight lines (he famously favoured curved forms, arguing that straight lines appear nowhere in nature), it’s maybe not his most iconic edifice, but its full of his trademark fantasy and art nouveau motifs. Best of all, its relatively crowd-free. Best Tour: Sagrada Familia plus Brunch at Bellesguard! 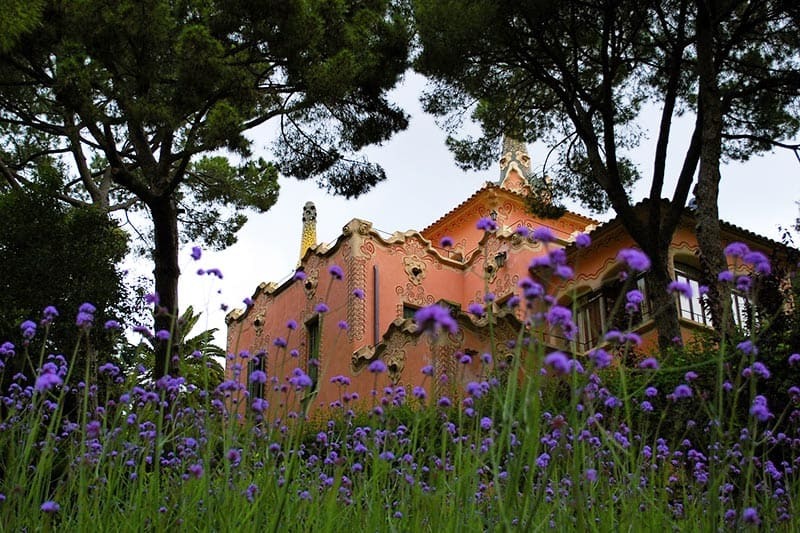 One of Gaudi’s earliest works, the Casa Calvet is barely known to locals, let alone tourists. You might think that would make it a dud, but it was avant garde enough at the time of its completion to win Building of the Year in 1900. You can’t enter the building sadly, but it is centrally located, so you may well want to pass by and admire the façade with its attractive masonry and curved wrought-iron balconies. Photo from Wikimedia. Accessibility: Not open to the public, but take a look if you’re passing by! Best Tour Option: Private Gaudi Bike Tour. Another of Gaudi’s early works, Antoni took over this project – the design of a female boarding school – from another architect, completing the work on a budget as befitting a religious order bound by a vow of poverty. Still a school today, you can’t enter, but the impressive red brick facade is worth a gander if you’re in the neighbourhood, even if it’s a far cry from Gaudi’s signature work. Accessibility: Not open to the public, but lovely exterior. The Pavellons Guell were built between 1884-87 and were Gaudi’s first commission for Eusebi Guell, who would continue to patron the architect throughout his career. 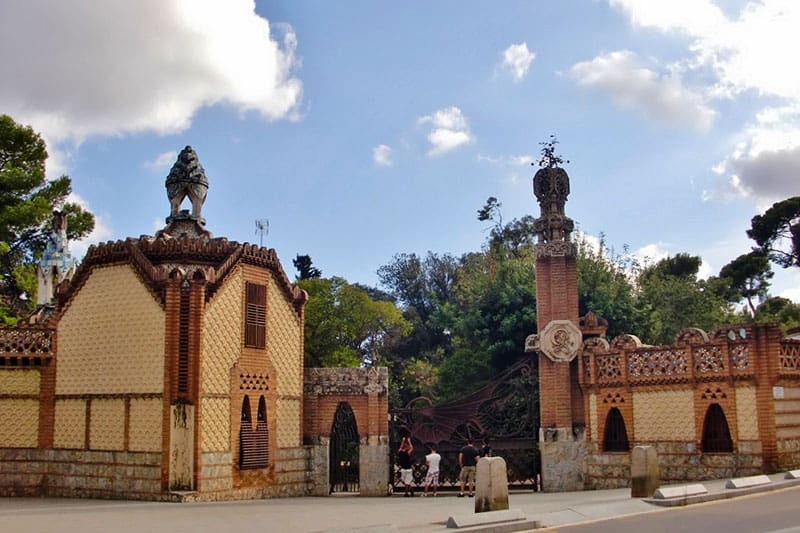 In this case “pavilion” means gatehouse, and Gaudi built two of them in striking yellow and terracotta brick, one serving as a stable, the other as a gatekeeper’s lodge. Between them is an elaborate wrought-iron gate that depicts the myth of the Garden of the Hesperides, complete with dragon, mouth agape. The site now belongs to the Polytechnic University of Catalonia, so you can’t venture beyond the gate. But you can at least admire the structures from outside. More info here. Accessibility: Visible from the outside only. This humble building was originally built as a small school for the children of the workers building the Sagrada Familia. It’s undulating form combines elegance and strength and has been much imitated in the architectural world, by no less than Le Corbusier and Calatrava for starters. It’s likely Enric Miralles had this school in mind when he designed the roof of Barcelona’s Santa Caterina Market as well. In 2002 the school was dismantled and rebuilt right at the foot of La Sagrada Familia, and you can visit it when you buy a ticket for the church. Photo by Wikimedia. Accessibility: Now part of La Sagrada Familia. Just outside the Barcelona city limits, you will need to catch a train to see this stunning work of architecture, but if time is on your side it’s well worth the relatively minor hassle of moseying on over. Colonia Guell was an industrial park built by Gaudi’s major patron, Eusebi Guell, for a textile factory he owned. 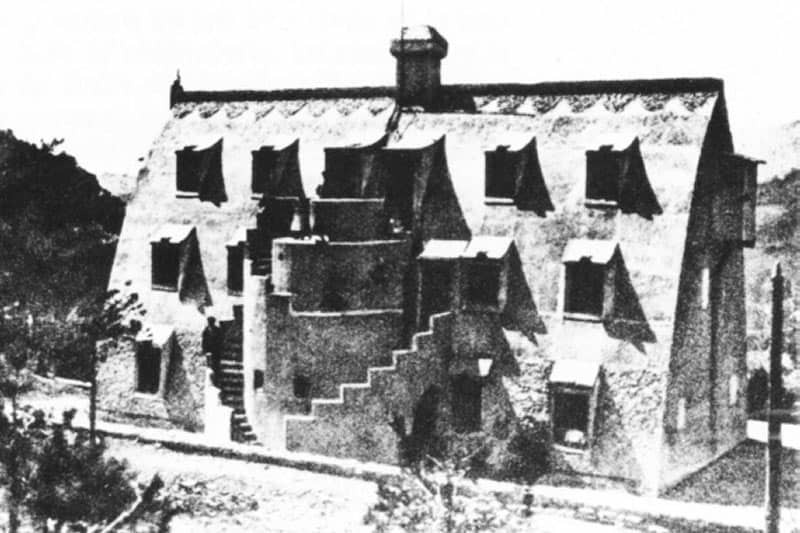 The Colony was built to house the workers, and featured a theatre, school, convent and inn, amongst other structures. 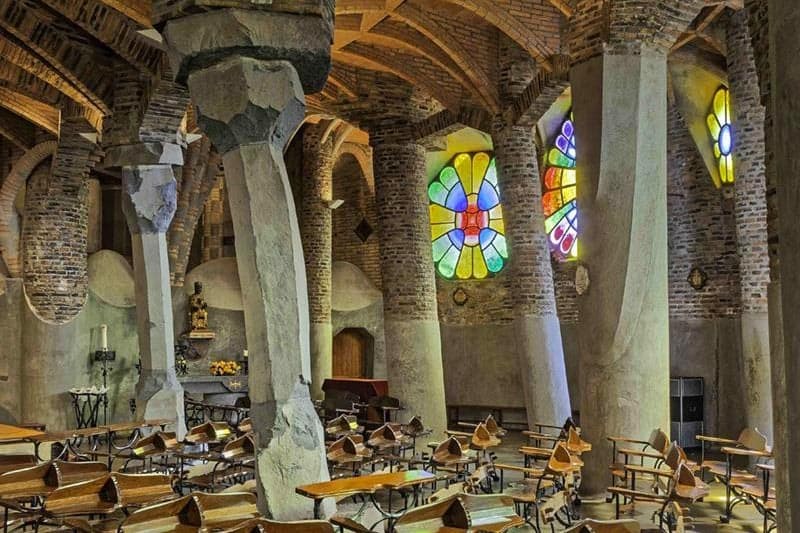 Gaudi was to design the church, but only the crypt got made before financial losses meant the project had to be pulled. Still, it is a stunning work of architecture on which Gaudi practiced pioneering architectural techniques that he would later use on La Sagrada Familia. The rest of the Colony is also designed in the Modernista style. The remainder of this list constitutes works designed by Gaudi, rather than entire buildings. This epic Roman-style fountain, topped with an ostentatious statue of a golden goddess riding a four-horse chariot, was designed by Josep Fontsere and is distinctly more gaudy than Gaudi. The Modernist man did contribute to its design though whilst still a student, designing its water tank and hydraulics as well as several stone medallions with reptilian reliefs. Catch it in the Parc de la Ciutadella. Upon finishing the work on the Cascada Fountain, the city council commissioned Gaudi to design the lampposts for Plaça Reial (Royal Square), which were installed in 1879. He set out his artistic stall with an elaborate six arm structure, with each lantern topped by a dragon, and the central post crowned by a winged helmet. Plaça Reial is one of Barcelona’s most beautiful corners, and a central nightlife hub, so be sure to pass by night or day (depending on your preference!). 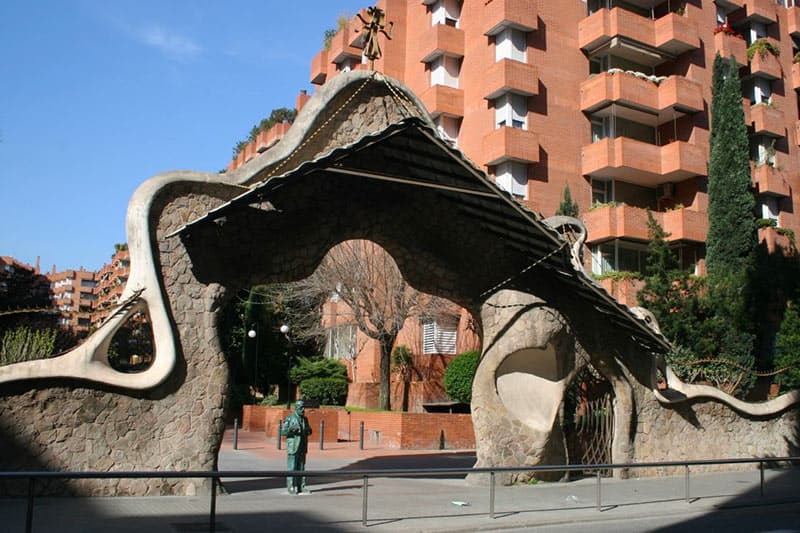 You can find a more modest version of the same design on the nearby Pla de Palau square. Few people know it, but the very streets tiles of the Passeig de Gracia (the magnificent boulevard that is home to both the Casa Mila and the Casa Batllo) were designed by Gaudi. 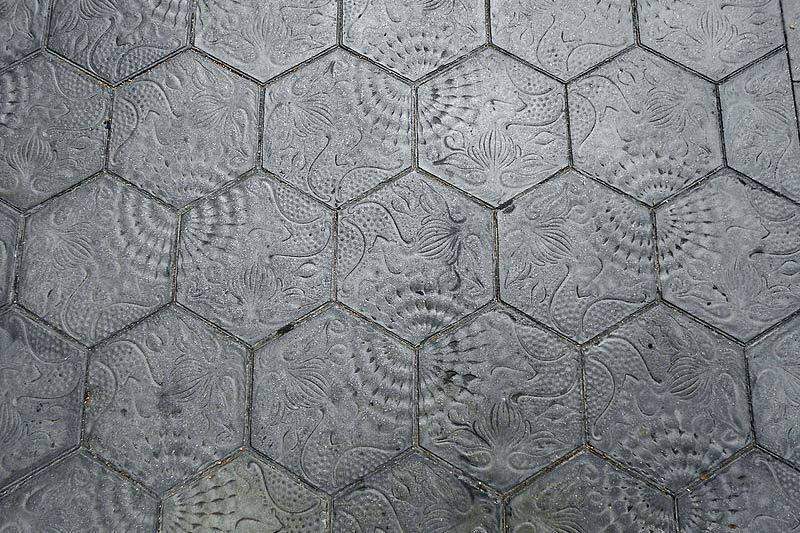 The architect created the hexagonal starfish and sea snail decorated panots in 1904, with the city council first using them to pave the street in 1971. You can read more about their history and here. With its undulating form and reptilian-like ‘skin’, there’s no mistaking the architect of this threshold, which once marked the entrance to the Miralles family estate. The estate has since been destroyed, but the gate remains perfectly intact and you can visit it in the Sarria district of Barcelona. Under the gate stands a life-size statue of Gaudi by the sculptor Joaquim Camps. You can find more info on the gate here. (Photo by Francois Philipp). As well as by visiting his buildings themselves, you can learn more about Gaudi at various museums around the city. This romantic peach-coloured mansion was actually designed by Gaudi’s frequent collaborator, Francesc Berenguer. Commissioned by Guell, it was supposed to attract buyers to invest in the industrialist’s concept of a garden city. 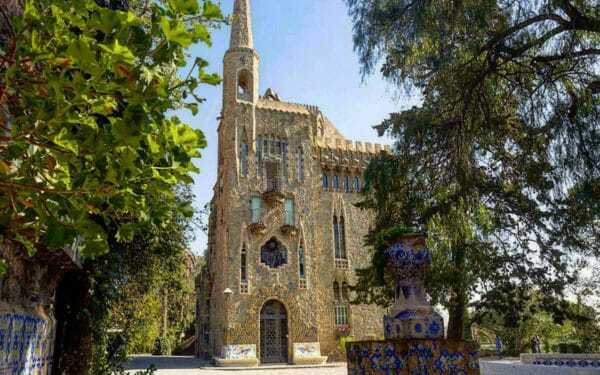 It seems like the local bourgeoise were not convinced and in the end Gaudi himself bought the house in 1906 and began to live there with his father and niece. His father died the same year, his niece in 1912, and Gaudi was left to live alone until 1925 when he moved into the crypt of La Sagrada Familia to oversee his masterpiece. His former residence has since been restored as the Gaudi House Museum and showcases some of his elegant furniture design, as well as giving us a glimpse into his life in the first part of the 20th century. The museum is located in Park Guell, just outside the Monumental Zone (ie. the part of the park you have to pay entrance for). Naturally, it’s best combined with a visit to the park. Gain a deeper understanding of Gaudi’s architectural genius at this exhibition centre dedicated to his work. 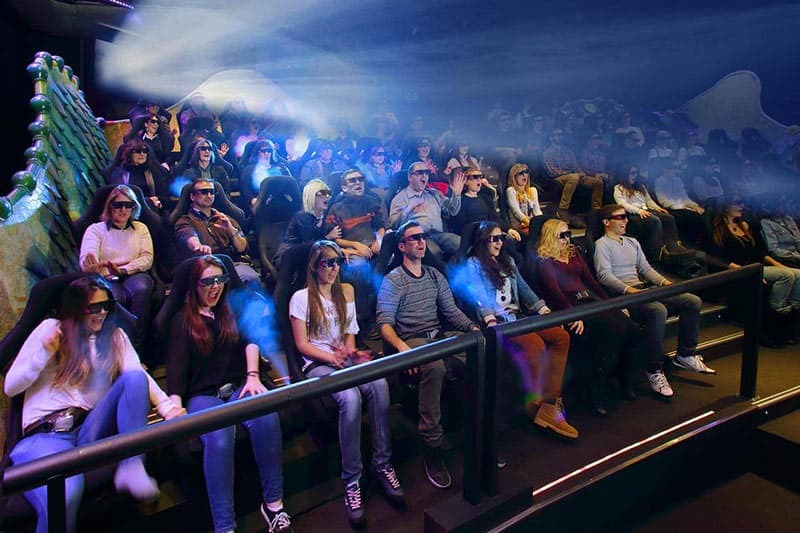 The centre is highly modernised with 180º video introduction, an interactive augmented reality exhibit and plenty more audiovisual and multimedia content. 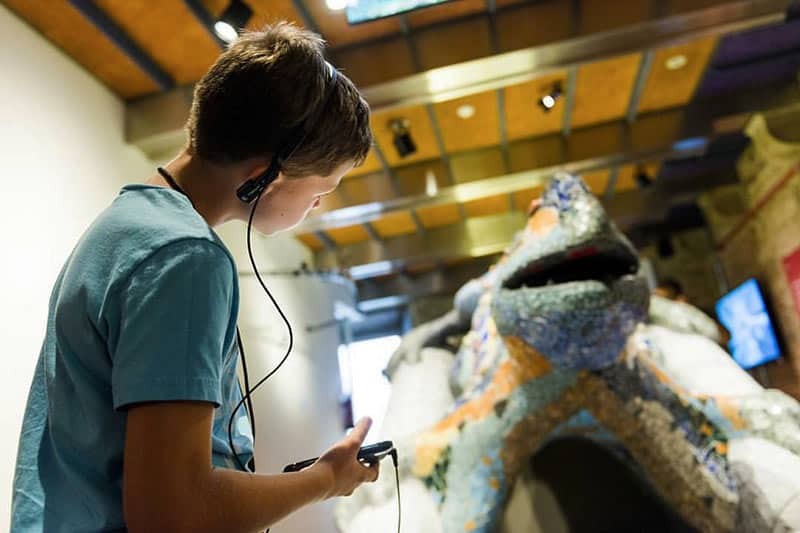 The highlight is the chance to don a pair of virtual-reality glasses that will take you on a trip back in time with Antoni Gaudí as your guide. The museum is housed in a 15th century medieval building, just a stone’s throw away from the wonderful Gothic Cathedral (nb. not to be confused with La Sagrada Familia!). Another high-tech exhibition, this museum features interactive walls and a fantastic model of the spaceship style New York hotel that the architect designed (but was never built sadly! ), amongst other displays. The highlight is a 10 minute 4D film with surround sound and moving seats that turns Gaudi’s legacy into a cool cinematic experience. The museum is right by Park Guell, and a good one to combine with these gardens, as well as the House Museum. This vast vault of art charts the history of Catalonia’s creative achievements from Romanesque religious iconography up to the region’s celebrated art nouveau achievements. The latter are the most interesting and you’ll find works by Ramon Casas, Picasso, Camarasa alongside several furniture pieces by our man, Antoni Gaudi. Despite being universally admired in the 21st Century, Antoni Gaudi didn’t always enjoy such widespread praise. 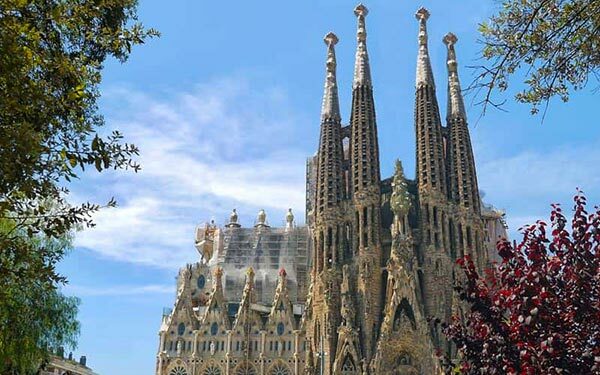 Amongst his famous detractors were George Orwell who described La Sagrada Familia as “one of the most hideous buildings in the world”, whilst Pablo Picasso also derided the architect, and Salvador Dali’s comment that he possessed “superbly creative bad taste” will hardly have warmed his soul. Even his patron Eusebi Guell is said to have quipped: “I don’t like your work, I respect it”. Nonetheless thousands turned out to mourn for the controversial artist during his public funeral in 1926. One of the city’s most established tour companies, naturally BGB know their eggs when it comes to Gaudi. They offer two coach tours focused on his life and works. 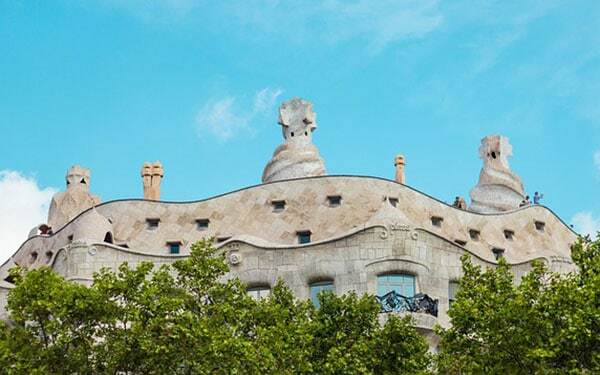 The first is a more in-depth tour that takes you inside both the amazing Casa Batllo and La Sagrada Familia (plus the exterior of Casa Mila) and takes 3.5 hours. The second, lasting 2.5 hours, is focused on La Sagrada Familia, although you will also take a stroll down the iconic Passeig de Gracia and admire the facades of the two famous Casa as well. Shopaholics can take advantage of a new tour, that includes both Gaudi’s cathedral and also a trip to La Roca Village shopping complex. The best way to round up ALL of the Catalan architect’s best works is by bike… unfortunately Park Guell is something of an uphill climb and so not catered for on usual bike tours, but that’s where the people at Barcelona eBikes come in. Their power-assisted cycles make zipping up the Passeig de Gracia, swinging by La Sagrada Familia and nipping up to “Gaudi’s garden” a breeze. Plus riding an ebike is also a unique and cool thing to do in itself! Check their website for more details. 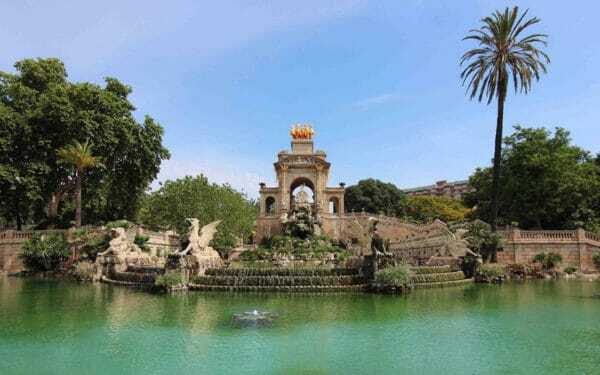 If you want to know everything about Barcelona’s main man, including details about his difficult childhood, his dandy years, his relationship with his two most important clients – Guell and God – and much more, then it’s well worth spending the day in the company of an expert tour guide. 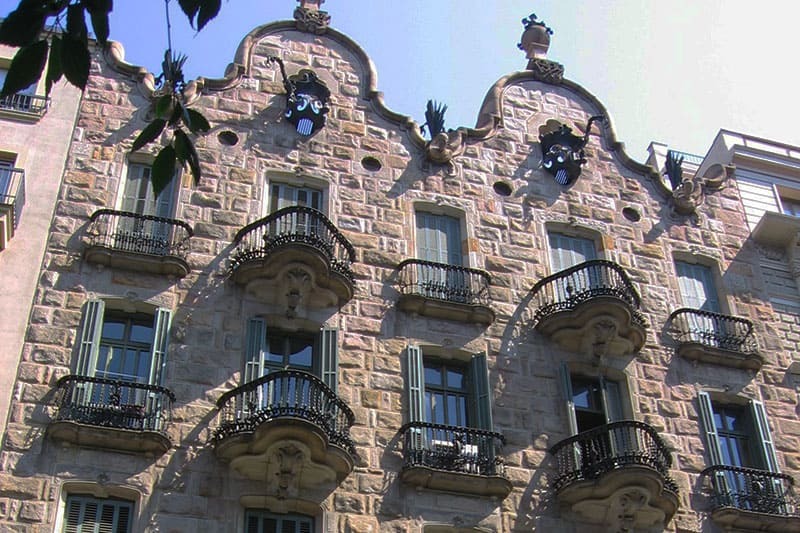 Take a private tour of the architect’s major works in Barcelona and uncover the inspiration behind the imagery, and a well of fascinating political and personal details about Gaudi and his role in the Catalan Modernista renaissance. With Gaudi Tours you’ll see both man and city in a new light! Email for prices and availability. If you’ve never heard of Escape Rooms they are a fun new trend that see you locked in a room with several enigmatic puzzles barring your way out. They are a great test of your mental prowess and, this being Barcelona, several have sprung up in the city that have a Gaudi inspired theme. Two that spring to mind are Mission Gaudi by Lock-Clock, where you have to rescue the architect’s final plans for La Sagrada Familia before the building burns to the ground, and Room of Riddles’ Art Collector where knowledge of the Catalan’s evolving artistic style can help you beat the room! Gaudi was both part of, and separate to, the prevalent Modernista movement of the time. In fact he was born just one year after Domenech i Montaner, who was the leading protagonist of the movement and one of young Antoni’s teachers. Gaudi of course went his own way, but undoubtedly he was massively influenced by what was going on all around him as the city developed at a rapid pace, fuelled by the wealth of the industrial revolution. What’s our point? It’s that, when in BCN, don’t be so obsessed with one man’s work that you miss a whole host of amazing architecture by his peers that is sure to enthral those who pay enough attention. For example, be certain to at least wonder past the wonderful Palace of Catalan Music designed by Domenech i Montaner, if not see a concert, and do as well pop your head in the legendary “Four Cats” cafe, one of the centres of intellectual thinking – and drinking – at the time. 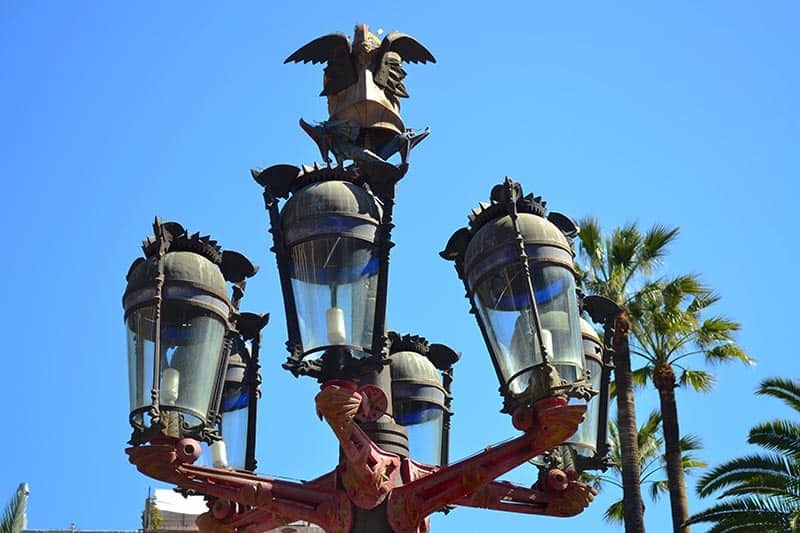 That same year Gaudi won his first commission, via a competition, to design lampposts for Barcelona’s Placa Reial. He also undertook a number of commissions for furniture and altarpieces and a showcase for gloves for the Comella firm for the Paris Exhibition of 1878, and it was these works that got him a big break. 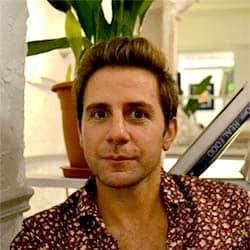 Fellow Catalan Eusebi Guell was so enchanted by the work which he saw at the Paris fair that he tracked down the artist in Barcelona and became Gaudi’s close friend and an important patron of his works – notably commissioning the architect to design the Palau Guell and Park Guell, amongst other projects. Gaudi’s later years were hard on the architect. His father died in 1905, followed by his niece in 1912, two close friends in 1914 and 1916, and finally his patron Eusebi Guell in 1918. Always an ardent Catholic, Antoni became more fervently religious and gave up all secular commissions (after completing the Casa Mila in 1910) to concentrate on his monumental life work, La Sagrada Familia – a project that occupied him for the final 16 years of his time on earth and which he never finished (and still isn’t finished now – there is hope that the church will be complete by 2026). Taken over by a Captain Ahab-style monomania, Gaudi even moved his studio into the crypt of La Sagrada Familia in 1925 so that he could devote every waking moment to executing his plans. The one-time dandy allowed his appearance and clothes to deteriorate and he became yet more isolated from society. When the architect was hit by a tram in 1926 he was so ragged and conspicuously poor, that nobody recognized him and no cab driver would take him to a hospital (the uncharitable offenders were later fined by the police). Gaudi was eventually taken to a hospital for the poor, where he wasn’t recognized until his friends found him there the following day. They wanted to move him but Gaudi refused, insisting that, “I belong here amongst the poor.” He died three days after being hit by the tram. Despite shunning publicity Gaudi’s popularity and fame had exploded by that time, as many people began to acknowledge the unique genius of his work. Half of Barcelona dressed in black to honour his death, and his body was, fittingly enough, interred in the crypt of La Sagrada Familia. Another project commissioned by Eusebi Guell, this winery was designed for the Count’s country estate out on the Garraf massif, about 25km outside Barcelona. The complex consists of the wine cellars themselves, a house and chapel, all in one building, whilst several hunting pavilions were designed but never built. Although the construction was carried out by Gaudi’s right hand man, Francesc Berenguer, there’s no mistaking the architect’s vision amongst the building’s parabolic arches and fairytale gables. Until recently the former bodega functioned as a restaurant, but that’s been closed for a while… we heard a whisper that the site might be open for visitors soon. For now you can read more here. La Nau Gaudi is an exhibition space in the coastal town of Mataro, housed in the remains of an industrial complex that Gaudi worked on between 1878 and 1883, after he had just finished university. The owner of the textile cooperative was a pal of Antoni’s from his hometown of Reus, and the architect designed a bleaching house, some new latrines, and a new company banner, as well as two casinos that never got built. The bleaching house is in fact the first ever structure our Antoni completed, and – whilst I wouldn’t advocate a special journey – if you are ever in Mataro it’s worth calling by to admire this artfully simple shed, and the rotating art exhibitions it hosts. Admission free. 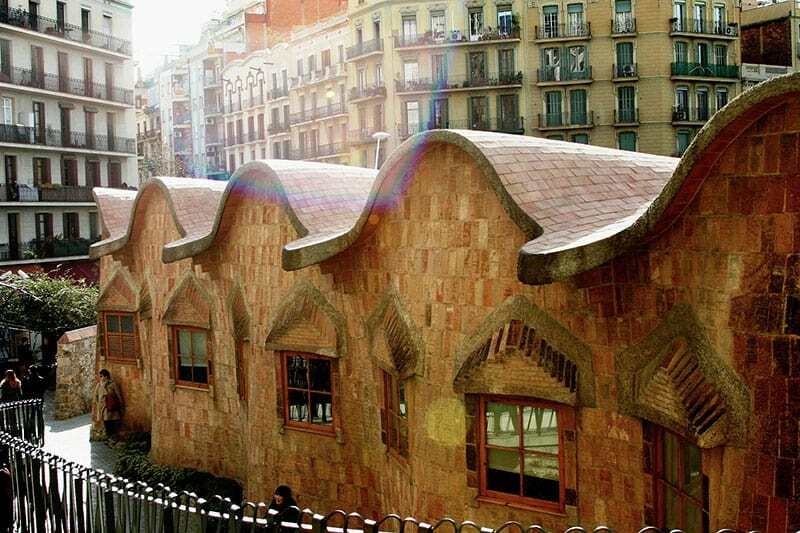 Worth noting is that while working on this project Gaudi fell in love with a girl from this town called Pepita Moreu. Her rejection of his marriage proposal hit him hard, and perhaps goes some way to explaining why he never married, dedicating his life to his work and to God. I’ll give you three guesses who commissioned this chalet…. that’s right, it was the rich-as-Croesus Eusebi Guell. The cash-splashing Count had another of his factories and some mines up here in the Sierra de Catllaràs and asked Antoni to dream him up a little alpine abode for his engineers. 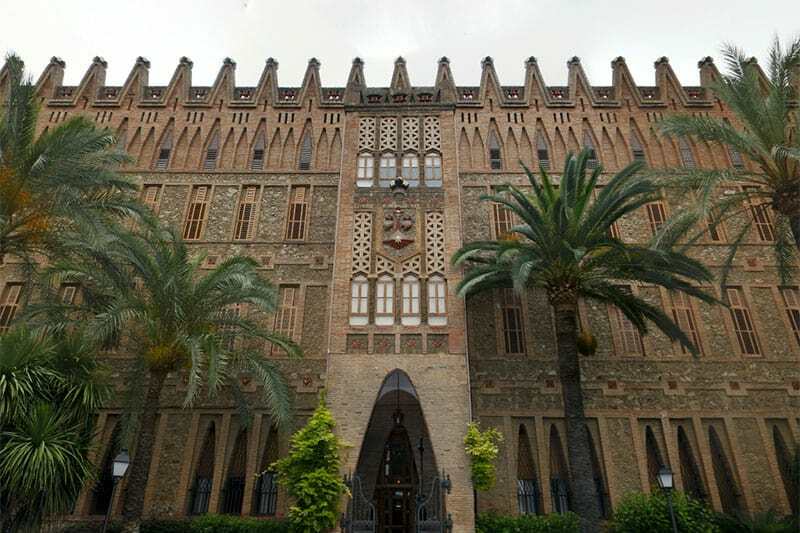 It’s a cute little number and currently being renovated for spring 2019 according to La Vanguardia. We’re confident they’ll be well behind schedule. Sadly it’s too far to be easily accessible from Barcelona, but for residents heading to the Pyrenees for a spot of skiing, this would make a fun spot to call in on. While he was up in the Pyrenees designing the chalet above, Gaudi discovered he had a fan in the form of Joan Artigas Alart. This wealthy textile industrialist admired the architect’s plans for Park Guell and commissioned him to do something similar to his own patch of land in the Pyrenees. Taking advantage of the beauty of the mountain springs, Gaudí constructed a garden that enables the visitor to enjoy the rushing water via various lookouts, bridges and balustrades.